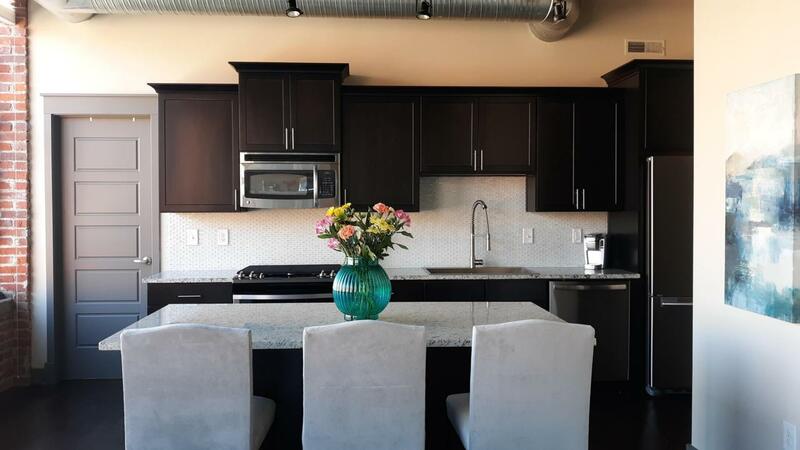 Completely updated and move-in ready corner unit with unobstructed views of downtown in the historic 570 Lofts. Tax abated until 2023! 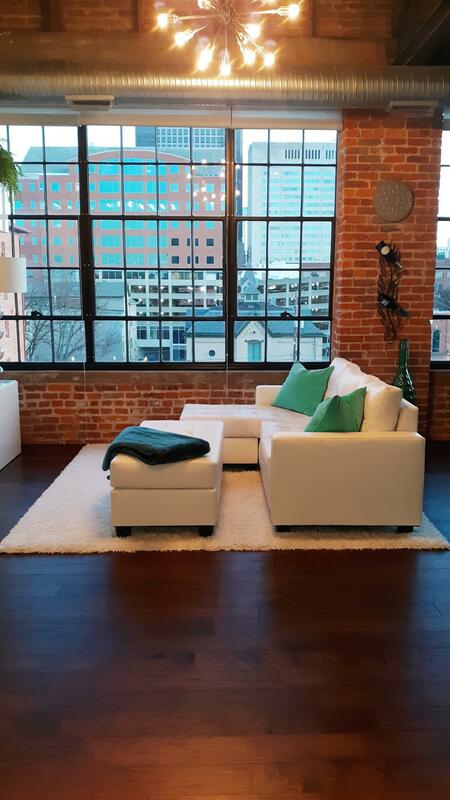 True urban loft with 15 foot ceilings. Updated Lighting. Updated kitchen with new modern SS appliances, industrial sink, tile back-splash and granite counters. Hand-scraped Hickory hardwood flooring with noise reduction cork underlay. Remodeled walk-in closet with custom shelving. Complete bathroom remodel with ceramic tile flooring, new vanity with marble counter, walk-in custom tile shower with frame-less glass sliding doors and chrome fixtures. Custom window coverings including bottom-up/top-down blinds in the bedroom. One assigned parking space in gated underground parking garage. Additional spaces for rent in attached garage. Shared, gated green space.